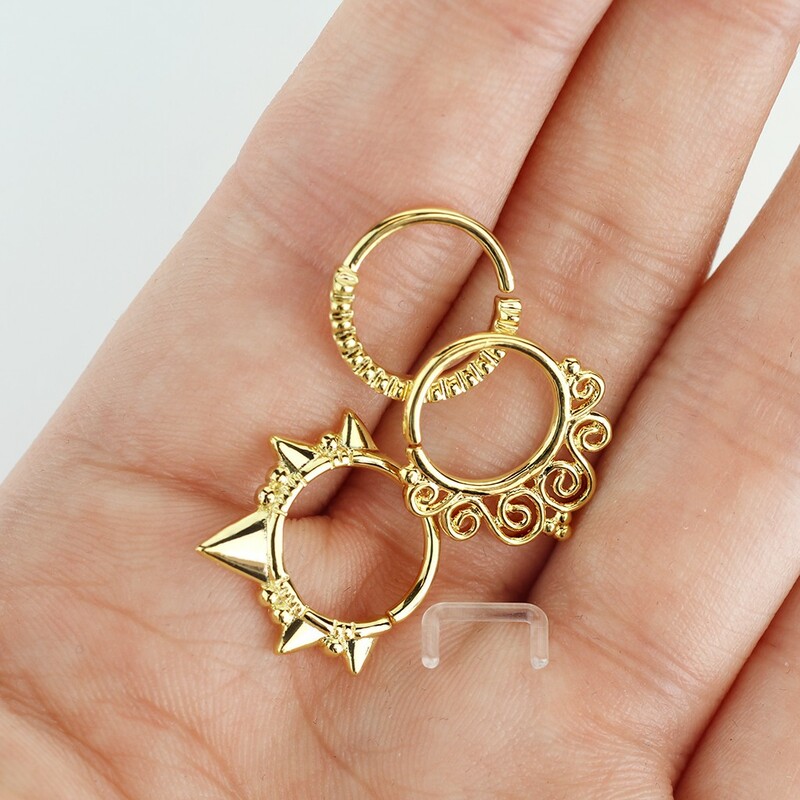 This set got 1 ring with a length of 8 mm and 2 rings with a length of 10 mm. 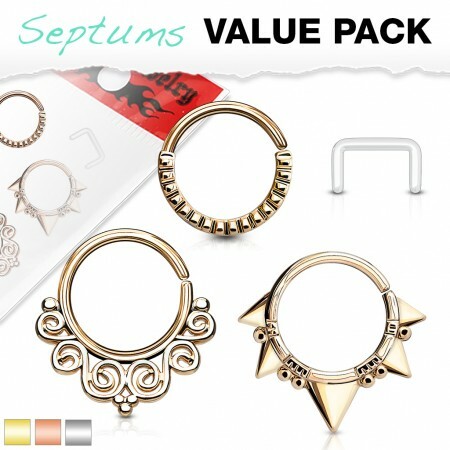 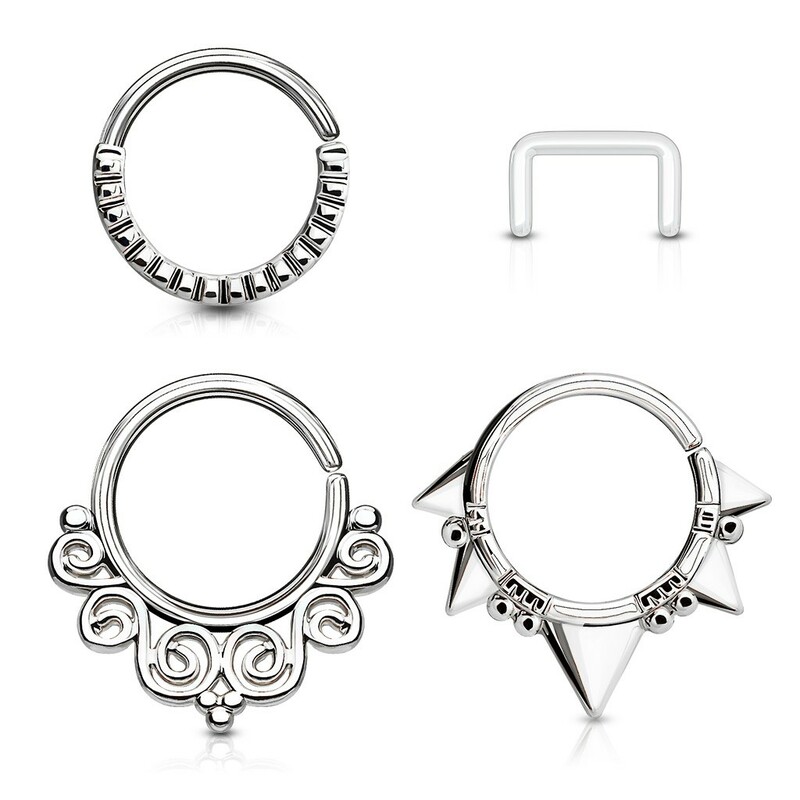 For these piercing rings you will need special forceps to open and close the ring. You can find this at the related products section.